What is a Credit Freeze – and Should You Get One if You’re Going to Need a Home Mortgage? As evidenced by the many security breaches in recent years, consumers can no longer trust that their information is safe with banks, retailers, credit reporting agencies or even the Veteran’s Administration. No one knows where the next security breach may occur. An identity thief could have enough confidential information about you to open new credit in your name, leaving you stuck with huge debt that you didn’t incur. While it’s true that you can usually prove the theft and straighten it out, it isn’t easy, fast, or cheap to do so. You could be waiting a year before once again becoming credit-worthy in the eyes of lenders. The safeguard against this is a credit freeze. What this means is that you opt to deny access to your credit report. Since no banks or retailers issue credit without first accessing the report, a freeze makes it impossible for anyone to open new credit. That, of course, means that when you want a home mortgage, a car loan, or even a new credit card, your legitimate would-be creditors won’t have access. 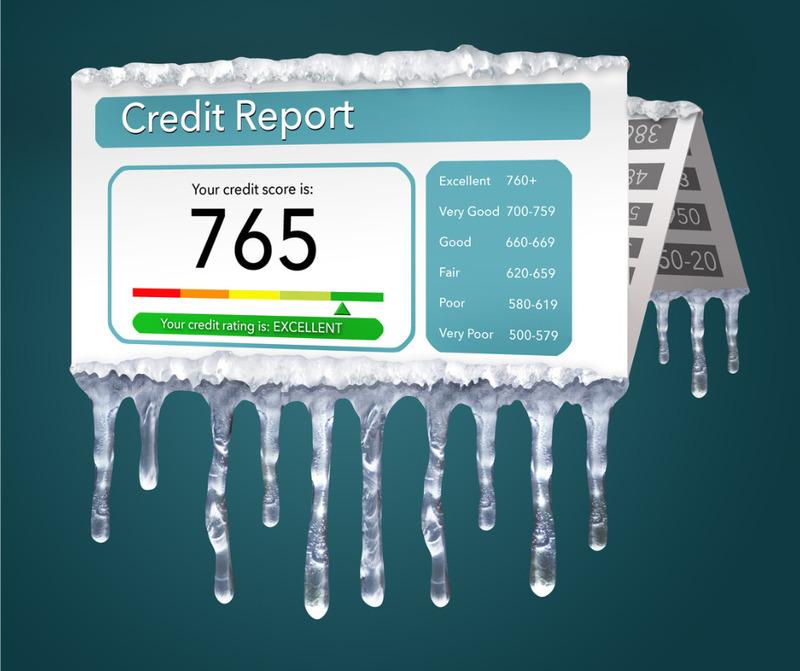 In the past, this posed a problem, because it could take weeks to freeze and unfreeze a credit report. Consumers in most states also had to pay a fee to each credit bureau each time they made a change. 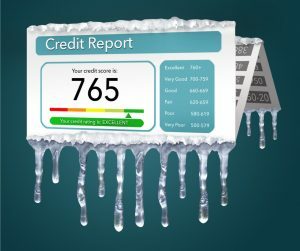 Freezing and unfreezing credit reports is now free. Freezing and unfreezing credit reports is now fast. The credit bureaus are now required to respond to online or phone requests to freeze credit within one business day, while requests via postal mail must be honored within 3 days. If you contact the bureaus online or by phone to unfreeze your credit – so that you can make a loan application – they must respond within one hour. The first step is to contact each of the three major credit bureaus: Equifax, Experian, and TransUnon. Create an account with each, then request the freeze. Be SURE to safeguard both your PIN and your password, as you will need these in order to unfreeze your accounts when you want to establish a new credit account. Remember that you are the only one who can unfreeze your credit. Some consumers assume that since they’ve authorized a lender to access their credit, the lender will be able to do so. They cannot. Before you begin your home search, visit your lender to be pre-approved for the mortgage loan. Tell the lender that your credit is frozen and ask which credit bureau will be used to verify your credit. It may be one or it may be all three. Call each credit bureau that will be used and instruct them to unfreeze your credit. Then stay in touch with your lender. As soon as he or she informs you that your credit has been pulled – usually within a week – call back and refreeze your accounts. Be aware that lenders will often access your credit again just prior to closing. They want to make sure that you have not incurred new debt between the time of their approval and the closing date. So again – stay in touch with your lender and ask to be informed when the process will be repeated. Then be sure to unfreeze your credit by that date. You can refreeze it once your lender has given the clear to close. Freezing and unfreezing your credit adds a step to the mortgage process, but it’s no longer a difficult step, and it could save you from having your good credit destroyed by an identity thief. 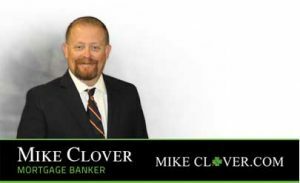 When you’re ready to begin your home search, give us a call at Homewood Mortgage – the Mike Clover Group. We’ll be pleased to get you pre-approved so you can shop with confidence.